Painting means to me experiencing God’s generosity. In the year 2000 I started to paint wine. In Sauternes near Bordeaux, the region of noble-sweet white wine, I ended up at its most well-known Château, Château d’Yquem. For several years I had the opportunity to work there and the wine portraits became part of the theme ‘wine and the Eucharist’. Slowly I started to discover the many facets of the meaning of wine, especially of this noble white wine. Its colour is golden and aurelian-yellow, its consistency oily and its taste is very sweet without losing elegance, revealing a multitude of rich aromas. Just as red wine can make us think of the colour of blood and the sacrifice of Christ, so does this golden wine remind us of the resurrection, of Christ in his beauty and glory on the morning of Easter, and of the jubilation awakened by Christ’s victory over death. In the early morning of Easter Mary Magdalene went to the grave and became the first witness. She encountered the risen Christ in a garden. This is why I chose this title from the Song of Songs of love: ‘Awake wind of the south! Blow upon my garden, fill the air with spices and fragrance’ (Song of Songs 4:16). It is the dynamic power of the risen Christ who calls us by our name. And Mary Magdalene turns her back on death, rupture and separation in order to turn towards him. In doing so she chooses life. ‘How much sweeter is your love than wine’ (Song of Songs 4:10). 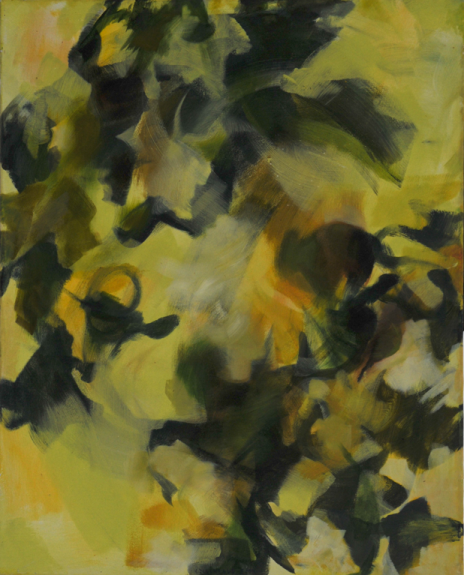 Veronica von Degenfeld: Awake Wind of the South, 150 x120 cm, oil on canvas, 2000. This painting is part of the current exhibition Art and Faith at the Catholic World Youth Days in Madrid.